377The anatomical formed carbosan-foam insole with an additional latex layer is coated on one side with cotton toweling which absorbs foot perspiration and keeps the foot dry and fresh. 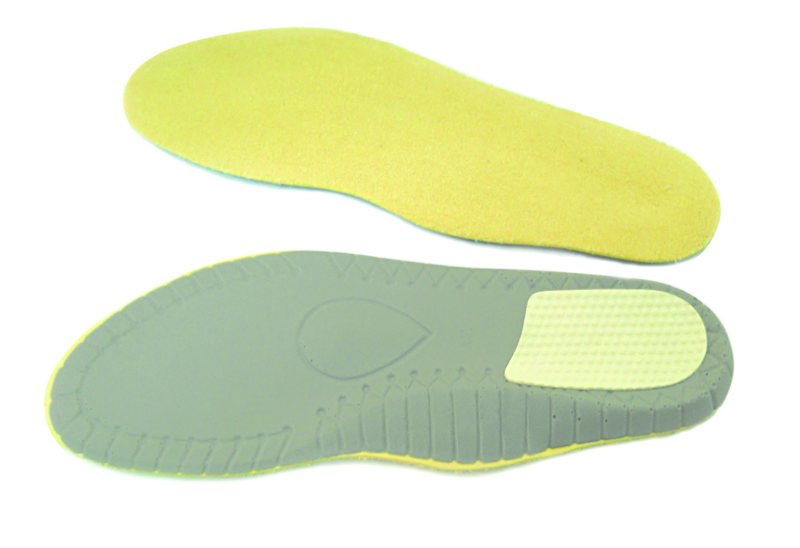 The metatarsal pad (1) provides an anatomic support for the forefoot arch and prevents pressure marks . thanks to the “viscoresilient” latex pad (2) in the heel part shocks (impacts) are absorbed. The well fitted mould supports the inner arch (3) of your foot. Suitable support for sports and ideal insole for diabetics. Helps divide body strain equally.